Roberto Firmino is not satisfied with his 27 goals and 14 assists this season and thinks he can and should do better. The Brazilian has been nothing short of sensational for Liverpool this term, combining consistent end product with an incomparable work-rate off the ball. 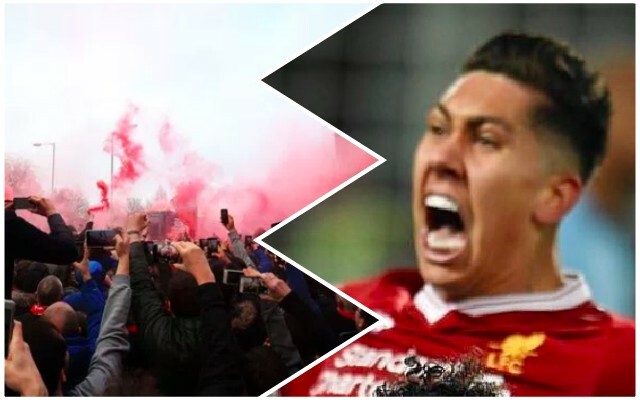 He is the cog that makes Liverpool tick, and while Mo Salah gets the headlines (he has scored 44 times, after all), Firmino is our heartbeat. “This year is my best year as a professional footballer… but I am still a little bit restless as I always want more, to grow and grow even further,” he told UEFA, cited by the Echo. “(It would be) a unique moment to win the final. It’s a very special trophy because it’s the Champions League. “If we’re fortunate enough to be able to win it, it will be a very emotional moment for me and the whole team. “Although I am a little bit annoyed because I always want more and I am never satisfied. However, you cannot beat yourselves up about these things all the time and you must always keep moving forward. We’re hoping for one more sensational Firmino performance before he leaves for Brazil’s World Cup preparations. The difference between winning and losing our Champions League Final may well be down to which set of elite attackers does the business on the night. Cristiano Ronaldo and co are expert at performing in big matches, but this season Firmino, Salah and Sadio Mane have been sharper and more exciting. Will their lack of experience tell?